Hi, check out our events! A good diet should never change. This is why we're rewarding our loyal customers with a complimentary bag of their best friend's food. Buy TEN Bags of DRY food, Get ONE FREE! Buy TEN Packages of RAW food, Get ONE FREE! Buy TEN Cases of CANNED Food, Get ONE FREE! 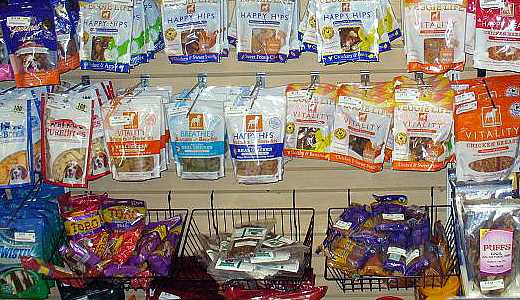 At Happy Paws we pride ourselves in carrying high quality natural brand dog and cat foods. If you are looking for a particular brand not listed, please contact us and we will do our best to special order the product for you. Any product suggestions are deeply appreciated. 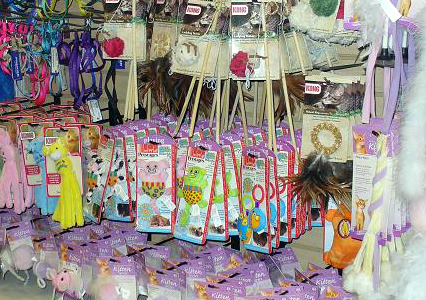 On the top floor of our facility we have our Happy Paws Retail Boutique. 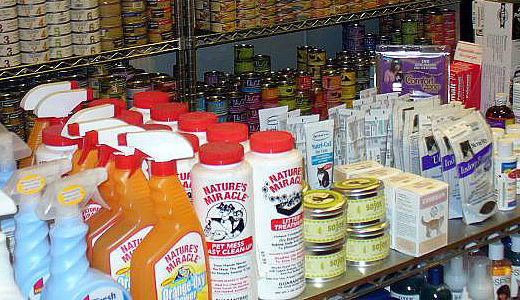 Our Retail Boutique offers only the top of the line products for Cats and Dogs found on the market today. Our owners attend all of the latest Pet Expo shows and seminars throughout the country to give our customers “Cutting Edge” products to share with their pets. We have the finest line of natural and nutritional brand dog and cat foods that we update regularly as new products are released. Wellness, Halo Spots Stew, Merrick, Innova, Evo, California Natural, Holistic Health Extension, Eagle Pack, Nutro Ultra, Natural Balance and Solid Gold. Wellness, Nutro Natural Choice, Innova, Avoderm, Weruva, Tiki Cat, Merrick, Solid Gold, Pet Guard and Evo. 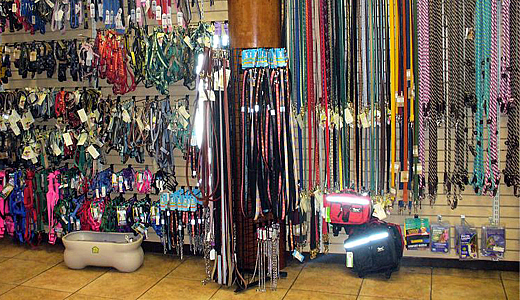 From training books to harnesses, to leashes, collars, and toys- we have it all! We hold a range of products to stimulate or train your pet that few pet product retailers carry. Give us your email to learn about our newest arrivals, sales and exclusive offers.